GEORGE TOWN: The body of the victim trapped in the sports utility vehicle (SUV) which plunged into the sea last Sunday was still intact though the vehicle was retrieved three days later. 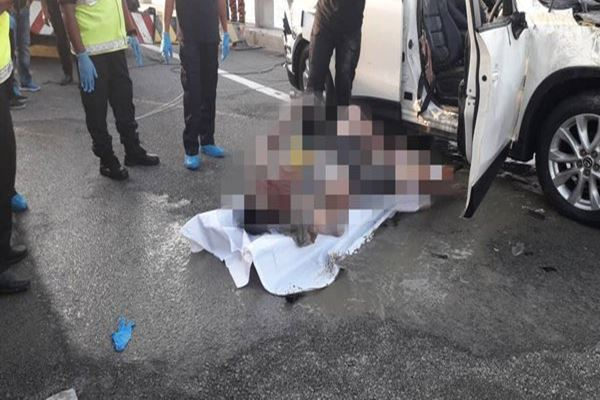 Penang police chief Datuk T. Narenasagaran said the victim identified as private college student, Moey Yun Peng, 20, was found strapped to the driver’s seat after the vehicle was retrieved from the sea at about 6.00pm at KM 4 of the Penang Bridge here. “The car was badly wrecked due to the crash but the physical condition of the victim was still perfect and his seatbelt was still fastened,” he said when met by reporters at the scene. According to him, the victim’s remains were sent to the Seberang Jaya Hospital for post-mortem before being handed over to the family for burial.